While the epidermis is a tissue of closely packed cells, the dermis composed of extracellular matrix - a network of protein fibers embedded in a viscous polysaccharide (proteoglycans) gel. The skin’s structure, especially its firmness and elasticity depends on the composition and structure of this matrix. The matrix components (such as collagen, elastin, hyaluronic acid) are produced and secreted by fibroblasts, connective tissue cells embedded in the extra cellular matrix. The extra cellular matrix supports the three dimensional structure of the skin. The breakdown of the matrix components causes wrinkles and loss of elasticity. The MMP’S (Matrix Metallo Proteinases)are a group of about 20 enzymes specialized in the breakdown of the extra cellular matrix components. Controlled degradation of matrix components is needed for repair and remodeling, however, due to skin ageing processes (mainly chronic inflammation) and also due to environmental factors (such as UV light) , the balance between MMP’S and their inhibitors is disturbed . This imbalance causes the increase of MMP’S activity and intensive breakdown of collagen, elastin and other matrix components. The direct result is loss of skin elasticity, firmness and excessive wrinkles formation. 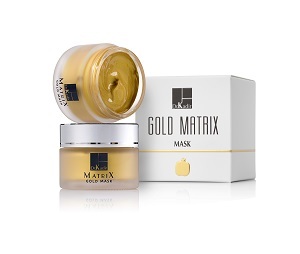 Gold Matrix series is an upgraded version of Matrix Care series (The Gold Mask remains unchanged). 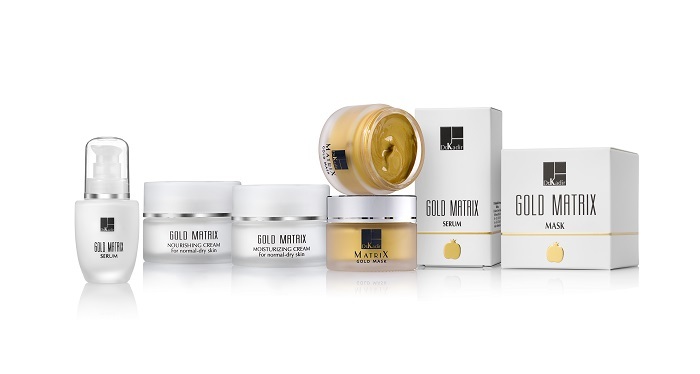 The products of the Gold Matrix series contain a variety of first class active ingredients directed to protect the skin and to minimize the damage caused by internal and environmental factors. Cream with light texture, contains pomegranate juice with strong antioxidant properties to protect the skin against the damage of free radicals. It contains a unique vitamin C compound for skin renewal and inhibition of destructive MMP'S enzymes (this material showed effective inhibition of MMP-2 and MMP-9). The cream contains hyaluronic acid for skin moisturization and an effective combination of sunscreens at SPF 15. The product meets the European regulations for UV-A protection. 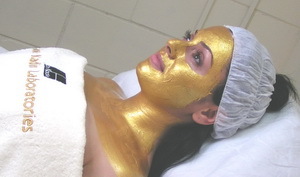 It contains a unique complex of pure colloidal gold with "soft focus" effect for an even look of the skin. (melanosomes are the cellular organelles responsible for the synthesis, storage and transport of the pigment melanin) . The cream contains a special extract of quinoa with inhibition effect on the destructive MMP's enzymes and supportive effect on the capillaries. The product also contains pomegranate juice and a unique complex of pure colloidal gold with "soft focus" effect for an even look of the skin. A serum with a silky feel contains an extract of magnolia bark. Magnolia is use in the Chinese medicine. The bark contains compounds with strong skin calming effect. Chronic inflammation is recognized as a key factor in aging process, it contributes to skin aging mainly due to free radicals formation. Magnolia extract protects the skin, neutralizes internal aging factors and reduces skin redness. 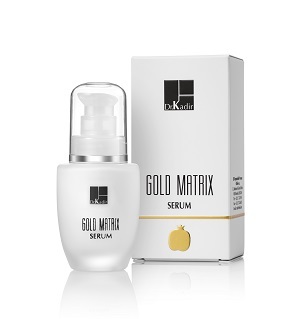 The product also contains pomegranate juice and a unique complex of pure colloidal gold with "soft focus" effect for an even look of the skin. Soft texture masks rich in nourishing emollients such as shea butter, wheat germ oil and avocado oil. It contains also pomegranate juice and vitamin E. The mask has nourishing, moisturizing and lightening effect.